A few traveling foodies are in town for a few days, and they very kindly invited me to join them for a few meals. Tenku RyuGin (天空龍吟) is somewhere I'm happy to return to on any given day, so I didn't blink before saying 'yes' to this one. Deep-fried scallop with kabu soup (帆立 おかきあげ 聖護院蕪のすり流し) - this was originally meant to come with deep-fried cod milt, but since it's one of the very few things in this world that I refuse to eat, I asked for a change in ingredients. The scallop came with a crunchy crust, but was cooked mi cuit. Very beautifully done. Premium monkfish liver from Hokkaido with variation of vegetables in special miso sauce (アオリイカに包まれたあん肝) - I love monkfish liver, and tonight it was accompanied by some radish, slices of yuzu (柚子) rind, and leeks. Scallop and yuba dumpling in ichibandashi soup (帆立とゆばの真丈椀) - I always love the light, clear ichibandashi (一番出汁), and I made sure to start with a sip. The dumpling (団子) was made with chunks of scallop along with tofu skin (ゆば) and white fish. Interesting that the chef chose to use the white snow fungus (雪耳). All very clean and delicate flavors. Flounder (鮃) - from Hokkaido. Very tender. Yellowtail (鰤) - interesting that the chef chose to give us two different cuts. The more marbled belly was, naturally, more fatty so incredibly soft and tender. The leaner part was also very tender. Served with minced ginger. Charcoal grilled and simmered sea perch (炭焼き赤鯥の白煮付け) - apparently other customers were served golden alfonsino (金目鯛) while we were given rosy seabass (赤鯥). I happen to love both. The white miso broth had a surprising spicy kick to it, and came with some bok choy (白菜). Interestingly garnished with some dehydrated cabbage on top. Cold kegani crab egg custard with grated fresh apple vinegar (毛蟹の冷製茶碗蒸し すりおろし林檎の赤酢と共に) - the only savory dish I've had before, on my last visit. Always love Japanese horse hair crab, and the apple added some sweetness to the dish. Charcoal grilled pure breed Iberico pork "Premium Pluma" ("準血のイベリコ豚" 貴重な "プルーマ" だけを使った 蜂蜜醤油焼き) - I was kinda surprised to see how dark the slices of feather loin (pluma) were, but they were sooooo tasty! Such beautiful execution in terms of grilling. Instead of salt, the chef has chosen to use on the side a mushy mix of shiokoji (塩麹), onions, and turnip to season the dish, and that was pretty interesting. Garnished with daikoku shimeji (大黒しめじ) mushroom. Simmered anago sea eel with Arima sanshou flavored steam rice ("煮穴子" と "有馬山椒" 風味の御飯) - the simmered conger eel was incredibly soft... almost but not quite to the point of being mushy. Very yum. The sansho (山椒) pepper flavors were mild but still present. The pickles were topped with plum jelly. RyuGin specialty -196°C pear candy and +99°C pear jam (-196°Cの洋梨飴 と +99°Cの飴炊き洋梨) - I can't get enough of this dessert, and thankfully the seasonal fruit is now pear. RyuGin truffled Roppongi pudding (黒トリュフのプリン) - pretty cool to have a dessert made with black truffle. Perfectly seasonal, and leaves a lovely fragrance in the mouth. 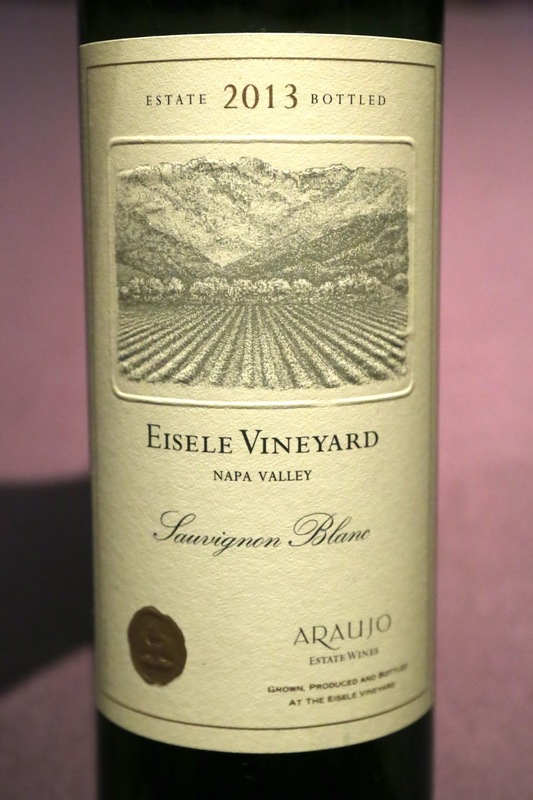 2013 Araujo Sauvignon Blanc Eisele Vineyard - nose of green apple, mineral, flint, pipi de chat, and muscat grapes. Full-bodied here. 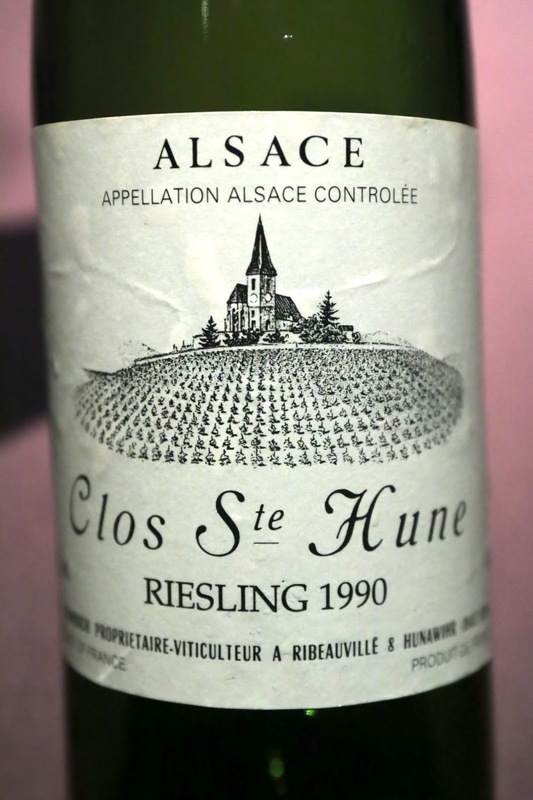 1990 Trimbach Riesling Clos Sainte Hune - lots of plastic, polyurethane, petrol, flint, and minerals. Very smooth. Absolutely beautiful.